Make a statement with the brilliant Fisher X-750 Space Pen in a stylish Blueberry metallic finish. 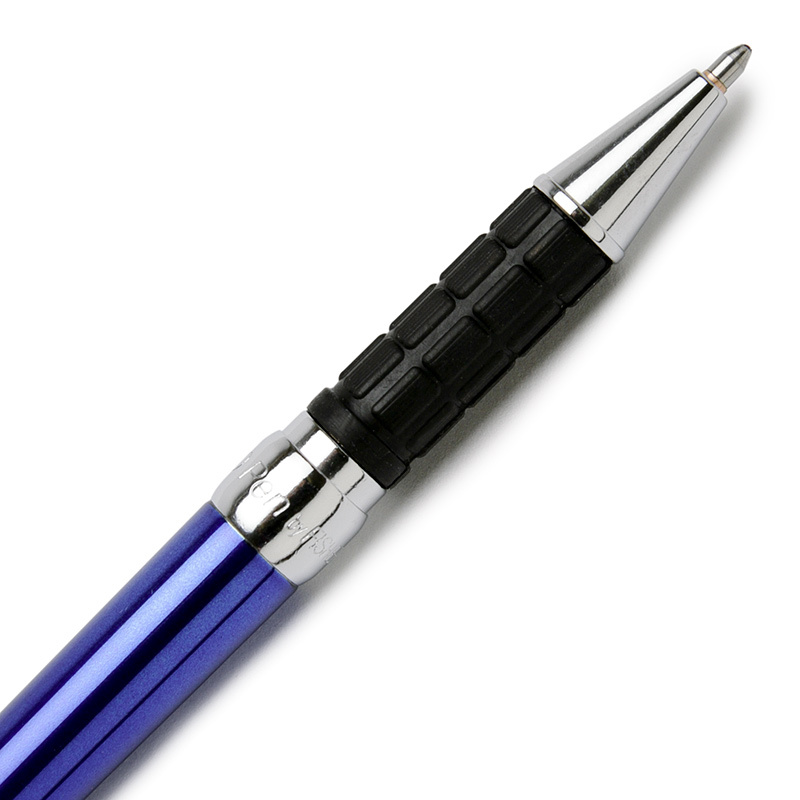 The X-750 is a compact capped pen to use in the office, at home, or on the go. The X-750 Pen features a rubberized grip for a comfortable writing experience, and an integrated chrome clip so you never lose your new pen! The X-750 Space Pen comes with Fisher's pressurized medium point, black ink cartridge so it's ready to write straight out of the beautiful moonscape packaging. Fisher Pens are the ultimate in dependability. Environmentally friendly, Fisher Pens are guaranteed to perform in temperatures from -30 to +250 degrees F, underwater, in zero gravity, in elevations up to 12,500 feet, and at any angle. 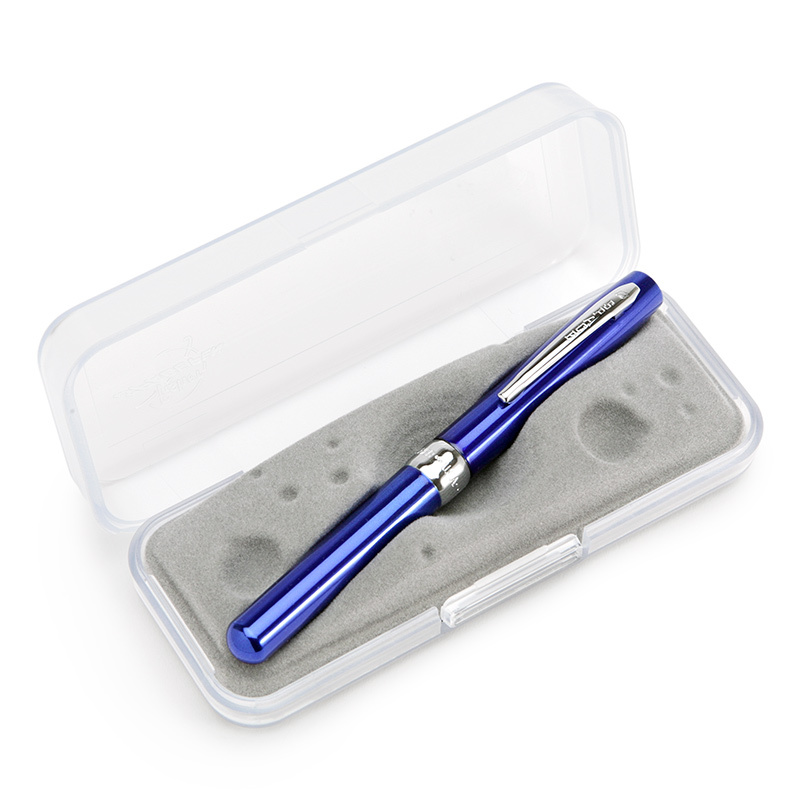 Each has an ultra-hard Tungsten Carbide ballpoint precisely fitted in a stainless steel socket to prevent leaks and deliver constant, uniform ink flow. Fisher pens use thixotropic ink (a semisolid ink until the shearing action of the rolling ball liquefies it) in a hermetically-sealed, pressurized reservoir with a sliding float to separate the ink from the compressed nitrogen. Lasting 3-times longer than ordinary ballpoints, Fisher Space pens are hand-tested and carry an unconditional lifetime guarantee. Love the pen! Writes beautiful and looks beautiful too!